TRP Polymer Solutions is an industry leader in specialist rubber sealing components. 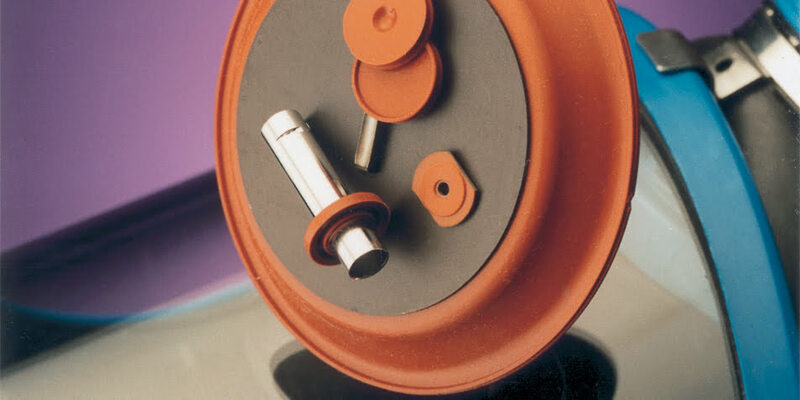 We design, develop and manufacture specialist precision rubber moulded gaskets, diaphragms, ‘O’ rings, bellows, valves and other rubber assemblies used in the most demanding environments. The more aggressive and unforgiving your sealing environment, the more critical it becomes to optimise seal design and material selection. Offering exceptional chemical and thermal resistance, TRP Polymer Solutions have developed their unique TRPlast™ range of Perfluoroelastomers combining the sealing force resistance and recovery characteristics of an elastomer with chemical resistance comparable to that of PTFE to offer extended service life and reduced maintenance costs. TRP Polymer Solutions Ltd use the latest polymers and process technologies to develop an optimum rubber product solution that balances quality, performance and cost. This innovative approach allows us to work with customers to provide solutions where standard rubber products have failed. At TRP Polymer Solutions, we develop custom rubber mouldings for your specific industry requirements to meet your unique applications and specifications. With TRP you can ensure that you receive the highest performing products, with a focus on durability and reliability. O-rings and custom rubber mouldings from TRP Polymer Solutions are manufactured to function in the most extreme environments. Our extensive materials development capabilities take your product from prototype to operation ensuring that it meets your design and service requirements. TRP Polymer Solution’s extensive polymer knowledge is developed through years of experience working as custom rubber mouldings manufacturers and developing products for a wide range of environments. For advice and guidance on your rubber material selection, talk to one of the TRP team today. Supporting the development of new products from concept stage, through to prototyping and product introduction, our polymer technologists and engineers will work with your team to design and develop a bespoke rubber moulded solution. Which applications benefit from FFKM rubber seals? TRP Polymer Solutions Ltd specialise in the design and formulation of materials to perform in the most demanding environments, whether this is extreme (high or low) temperature or where polymers are in service in the most aggressive chemical environments. We have a range of materials to suit all applications and work with engineers and designers to formulate new materials to meet our customers’ demands, to help extend the service life of their products. We develop bespoke rubber sealing for a broad range of markets worldwide.